Have you noticed there’s no “cents” sign on the keyboard anymore? You have to insert a symbol and even there it’s hard to find. In the April issue of Harper’s, there’s an article by Joachim Kalka about the slow but eminent disappearance of coinage, and with it, the extinction of the rituals surrounding these metallic objects. Heads or tails? Flicking pennies at elementary school crushes. The pleasure of having exact change at the counter of your local bodega. So, it was with profound enjoyment that I visited the last and greatest defense of the coin: the 99¢ store. Of course, as any soured skeptic will immediately point out, not everything in a 99¢ store costs 99¢. But, that, my dear nay-sayer, is not the point. The point is that some things, indeed many things, in a 99¢ store cost 99¢. If you hand the cashier a dollar, he will hand you a penny. If you give them your credit card, he will charge you tax and then it’s not 99¢ anymore. 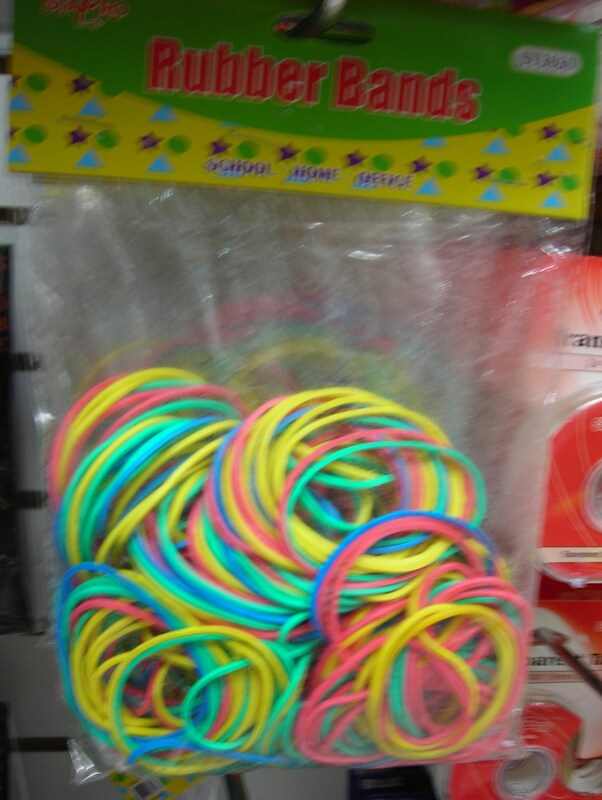 Take for instance this bag of rubber bands. 99¢! And it will last you a life time. 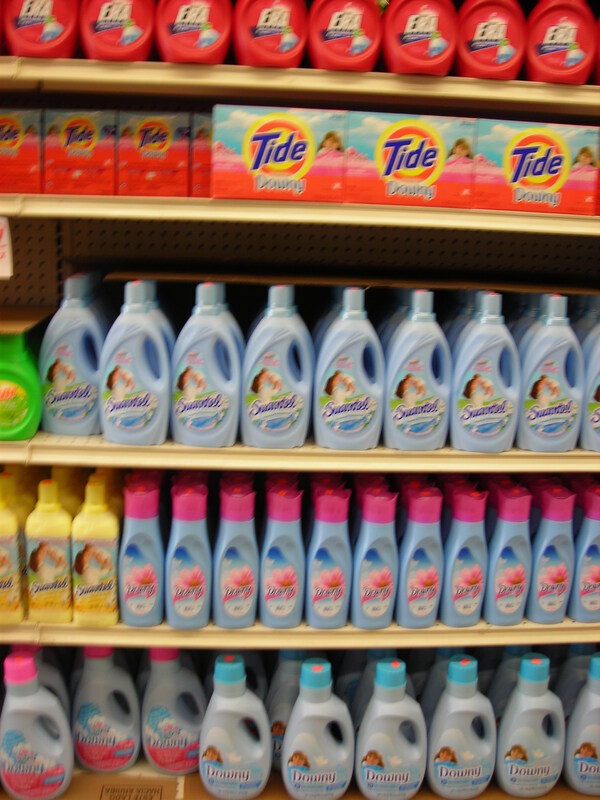 It is entirely possible to find your every need, if not desire, in the crammed aisles of Bushwick 99¢ stores. 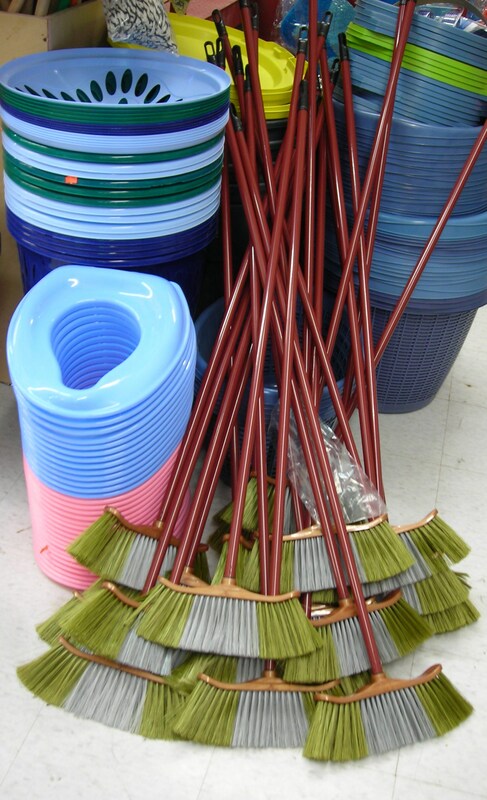 From food to toys, from brooms to toilet seat covers (who doesn’t need one of those – especially in lovely pastel), they’ve got it all and cheap. But choice! you say. I want selection. Have no fear! The name and description might be in a language other than English, and you might not know exactly what you’re buying, but your options are nearly unlimited. Just like going out to dinner in Paris. Heading off to the laundromat? Just try to choose from this epic shelf. You’ll be lingering for hours. What’s that? 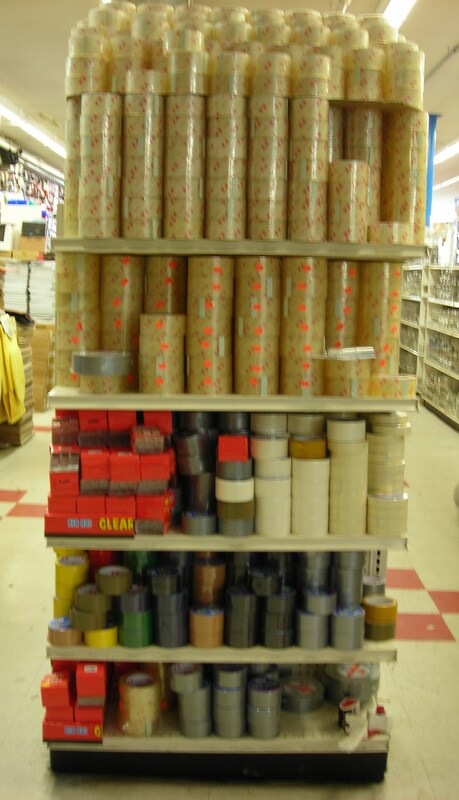 You wanted tape? Well. 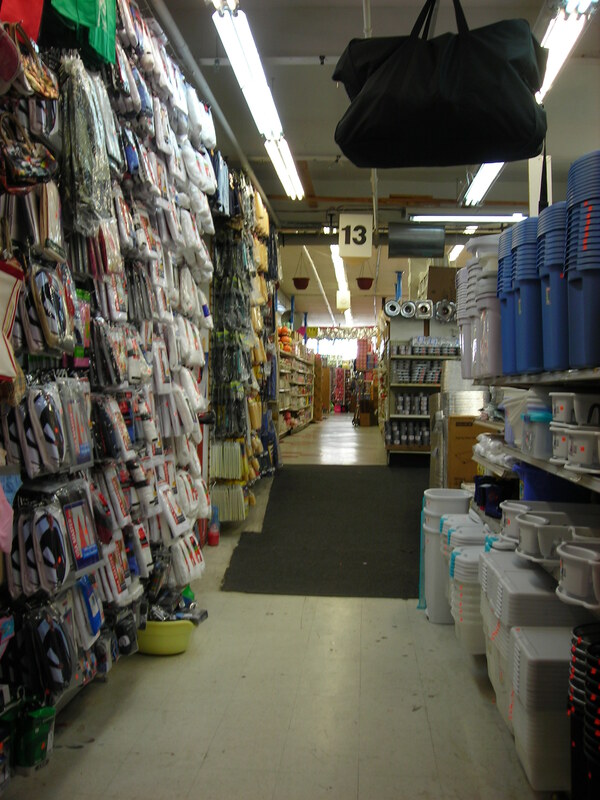 With an average of 2 per block on the main drag, Knickerbocker Avenue is the absolute Mecca of 99¢ stores. For those on a budget, or just in the market for authentic kitsch, it’s well worth the subway trip. So come-on. Roll up your pennies and enjoy it while you can. “Flicking pennies at elementary school crushes”? What kind of cruel childhood did you endure? In any case, as you say, 99-cent stores are full of treasures, many of questionable quality, but still, they are one of the last places in the U.S. where you can still find a bargain. What will they call these places once coinage disappears? 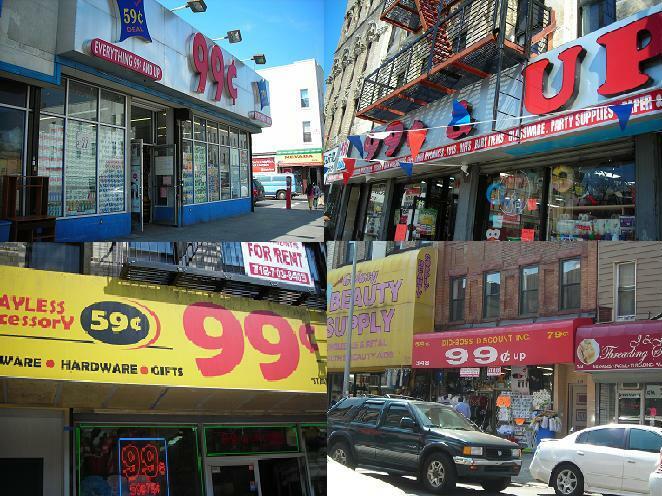 Or will they remain “99-cent” stores, a label the people of the future will scratch their space helmets and wonder about? Good walking! oh, yes, and I was the one doing the flicking. Never thought I would enjoy a 99 – oh geez you are right the cents sign is missing from the keyboard¢¢! !